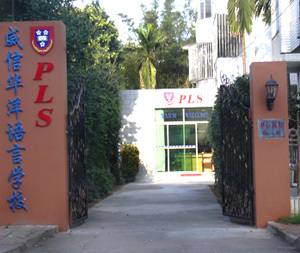 The Hainan Premier Language School is located in Haikou city, the capital of Hainan Island which is famous for its white sand beaches, pristine blue waters and green rainforest highlands, the infinite colors and characteristics of China's tropical area offer a very unique and beautiful study environment. The Hainan Premier Language School is situated in a comfortable and secluded four story garden villa. All of the classrooms, study rooms and offices are air-conditioned. The school has state of the art teaching equipment including multimedia computers with high speed broad band internet, TVs, and DVD players. Whether you are a business client looking for a more independent setting, or a student seeking a full immersion program, HNPLS can accommodate any personal requirements, requests or schedules. We also provide job placement for anyone looking to supplement their stay. Our teachers and staff have a range of degrees from around the world, including MBA's from the UK and MPA's from Harvard university. Many of the local teachers have years of experience and can teach Chinese Mandarin to students who speak English, Japanese, or Korean. Haikou is not only one of the most modern and beautiful cities to live in China, but it also has a very low cost of living. Hainan Premier Language School is happy to pass the incredible savings on to our students while still offering the highest quality of education and living experience. We encourage you to review other language schools and cities to compare our prices and program quality. Study for 4 weeks all inclusive for only $650. The package includes tuition, all meals and boarding. Study for 20 weeks all inclusive for only $3250.